Next time you are at a cocktail party, take a step back and observe. What do people talk about? How conversations evolve? Social relationships in the real world are built on identification and trust. Once relationships are in place, we are wired to share information, collaborate, and help each other. 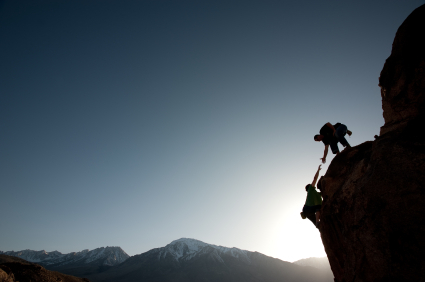 Do we help others expecting reciprocity? It is easy to rationalize that we help others to get help from others through reciprocity, that living in society is a game of giving and receiving. But that is only a typical analytical inversion of cause-effect. It might be true that reciprocity is at the very core of life in society, but we don’t trust, share and collaborate to get something back. Living in society is more efficient and effective if we collaborate, so we evolved (in the Darwinian sense) that way over generations. Social Media is “social” simply because it can better support some of the social behaviors we display in real life. Classical media (print, broadcast, etc) force us to be analytical, linear, introspective, independent. Being more open and symmetrical, social media let people establish relationships and trust. As the medium evolves, we should expect that people exercise the natural pleasure in sharing knowledge and helping others as they do in real life. Ask anyone about their passions and they will share knowledge, dispense advice, and talk about it for hours for the pleasure of an audience, without the expectation of tangible reward. Look at Facebook or Wikipedia. Why do people share information with others? There are no extrinsic incentives to do so. The same way we search for connections, talk about ourselves, share knowledge offline, people are social in Facebook because computer networks created an environment that emulates the social environment. When I talk to people about Ledface or other Crowdsourcing projects, a common question is “Why would people want to help others? What is the reward? Is there a gamification mechanism?”. Our analytical mind believes people only move with a tangible rewards or some sort of ego game playing. But the essence of Crowdsourcing is exactly to set conditions that free people from the industrial revolution training (analyze, segment, create independence and accountability, earn money doing something you dislike so you can spend time doing what you like) and express the natural instincts of collaboration. Should crowdsourcing tools and environments use gamification and consider the use of extrinsic rewards? Sure. At a cocktail party, before trust and collaboration develops, you must create a favorable setting and let people find each other. We all do play social games in society, there is no reason it wouldn’t be useful in virtual places. But that is just how things start. Once relationships grow up, collaboration is the name of the game. Marcio Saito’s (@Marcio_Saito) interest in Collaboration and Co-Creation originates in his early involvement with the Open Source Software community in the early 90′s. He writes about Social Media and Collective Intelligence and is a co-founder and advisor to Ledface, a startup using Crowdsourcing to create a new kind of Intelligence. When James Surowiecki published “The Wisdom of Crowds” in 2004, he presented several experiments and anecdotes to note that a diverse collection of independently-deciding individuals is likely to make certain types of decisions and predictions better than individuals or even experts. It is not difficult to miss the importance of the word “independently” in the sentence above. This post reflects on the need of trust and freedom to create the conditions where individuals can independently contribute to a co-creation process. I have a lot of interest in politics, influence, social media, behavioral economics and other areas of study on how people can influence each other through organizational structures and create patterns of collective behavior. But “herd behavior” is not necessarily a good expression of individual or collective choices. We buy and sell stocks at the wrong times based on headlines. We spend the week working on things we don’t enjoy so we can earn the weekend to do what we love. We adopt certain behaviors because that is just the proper thing to do. What we decide, buy, do, or choose is influenced by our social context and that is just a fact, neither good or bad. Governments, companies, universities, armies and other modern organizations have become very good at creating environments that uses social factors, ego and extrinsic rewards to express organizational patterns, where successful leaders can use power/financial/reputation structures to get groups of people acting in a coordinated fashion. Crowdsourcing is not simply breaking work in pieces for efficiency. It is not organizing and managing people to achieve a stated goal. Crowdsourcing is about harnessing the human potential in every individual so that we can aggregate and express knowledge that is larger than what any individual can express. To achieve that, we need to create a trusted environment where people can express their independent opinions. We need to remove the social, organizational, financial pressures to create true freedom of expression for every individual. 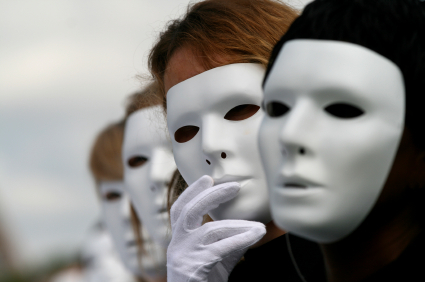 In an ideal co-creation environment, anonymity is one way of creating that freedom of expression. But it also comes with a challenge: anonymity removes ego from the co-creation process (which is a typical reward for social behavior), requiring the system to offer some other intrinsic rewards for its participants. This is the challenge the startup Ledface is tackling to create a crowdsource-based personal assistant. Ego (need for personal recognition) and extrinsic rewards (do something you don’t like to earn freedom elsewhere) are two proven driving forces for action, but relying on them will earn you “survival of the fittest” results, not collective intelligence. While we recognize the value of those systems, we believe that, to achieve true crowdsourcing results, we need to build an environment where co-creation happens with individual freedom, independence, and is driven entirely by intrinsic rewards. Marcio Saito’s (@Marcio_Saito) interest in Collaboration and Co-Creation originates in his early involvement with the Open Source Software community in the early 90′s. He writes about Social Media and Collective Intelligence and is a co-founder and advisor toLedface, a startup using Crowdsourcing to create a new kind of Intelligence.